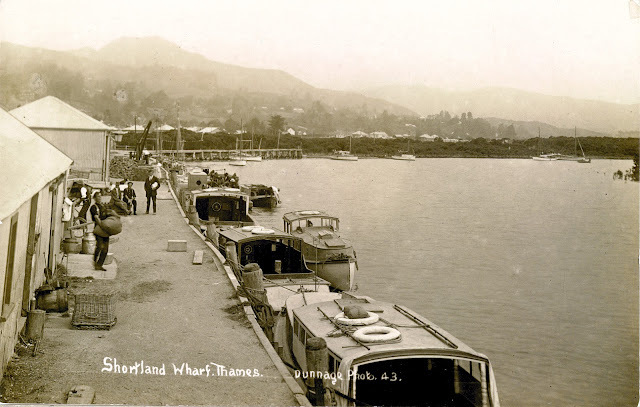 The Shortland Wharf at the old Kauaeranga Landing could tell a story or two. From pre goldfield times, Mr Nicholl's store stood alone serving the settlers who were bravely exploring the land to the south. The Kauaeranga Pa was close by, along with other hapu groups along the shores and hills overlooking the flats. 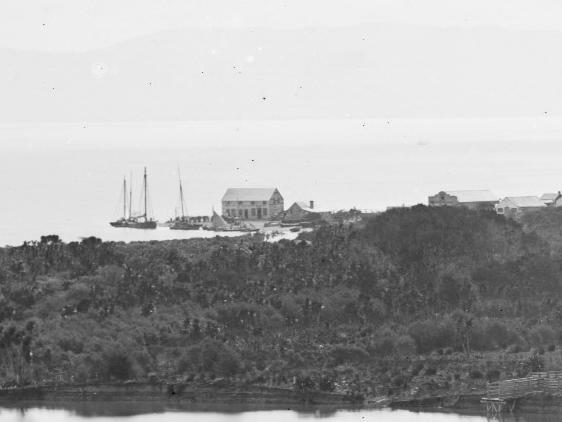 Above: The Shortland Wharf 1910s. a hive of activity as boats came and went with the tide. Below: Today the wharf is again busy, this time with customers getting fish and goods. Above: The view from the end of the Shortland Wharf out to the entrance 2017.